Sushi in Tokyo / Japan has more variations than my general “eat / politely pass / inedible / risking death” four quadrant diagram of American sushi. 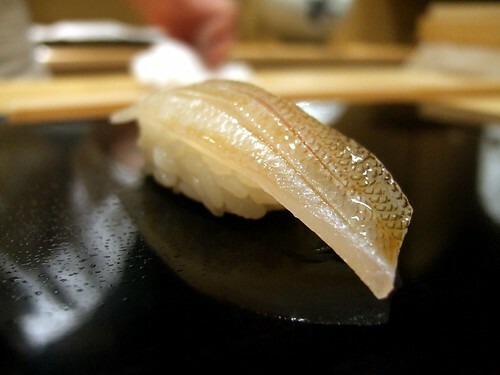 The restaurants, chefs, and sushi have personalities and characteristics, as they might here, but backed by tremendous ingredients and skill. That is important because it expands the discussion for interpretation. 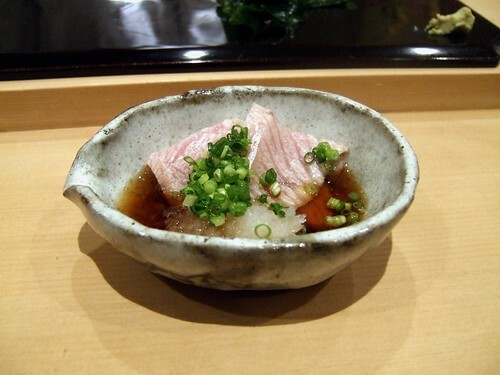 Cuts, temperature, and seasonings add infinite inflections to the binary fish on rice. There may be styles and choices that one doesn’t agree with but learning and appreciation does not have to be sacrificed. Harutaka was recommended by Okuda-san (Koju) on my first trip and, later, Seiji Yamamoto (Ryugin) also gave it a very high recommendation (which is not unexpected since the two are “good friends.”) Harutaka Takahashi trained at the legendary Jiro2, one of two Michelin 3-star restaurants in Tokyo, although he doesn’t look much older than 40. 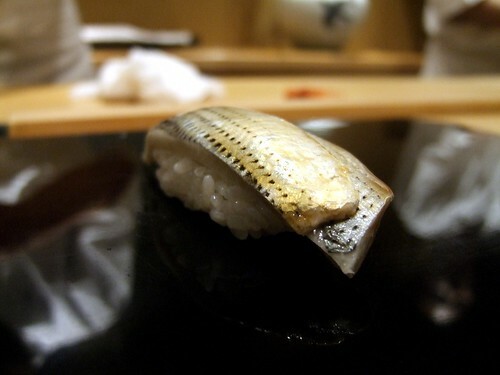 The fish at Harutaka was “pretty good”, a notch above Urasawa level for me. 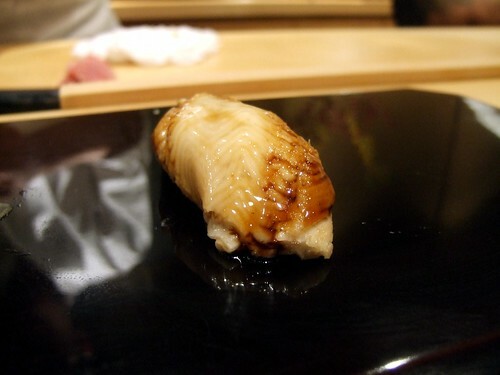 My main disappointment with the meal was that the rice was not to my preference – somewhat dry, al dente – nothing like the creaminess found in Mizutani, Masa (NYC), or even Kyubey on my last visit. I like how those rices blend with the fish as you chew, a unified whole. 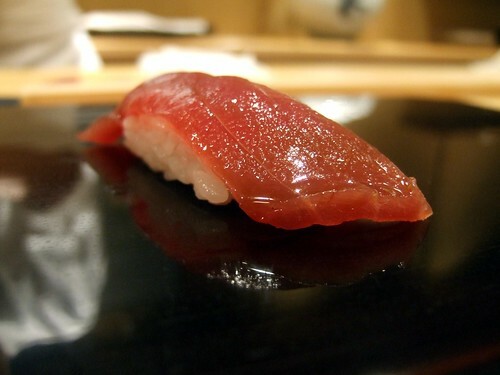 However, consistently, in my limited high-end Tokyo adventures, there will be served a dish or two that change your reference – so every meal is a worthwhile venture – waiting for the miracle. 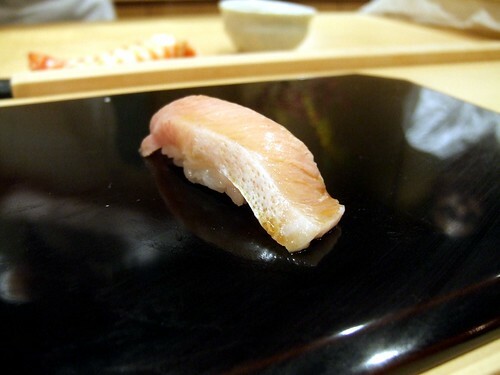 The buri, pictured first and last, was the best I’ve had – it came from a large fish and it exploded in flavor. The restaurant has a clubby feel but, in retrospect, it wasn’t the worst way to spend the first night in Tokyo. This meal was quicker, lasting maybe two hours. 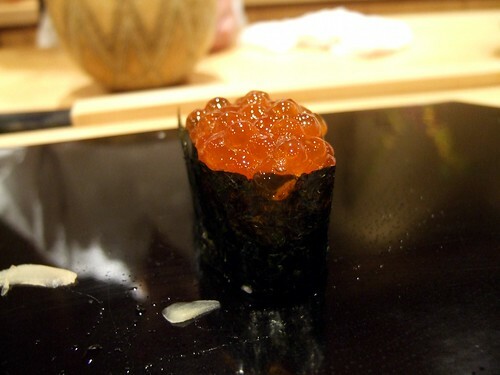 It was a good re-introduction to Tokyo and the restaurants that lie ahead. 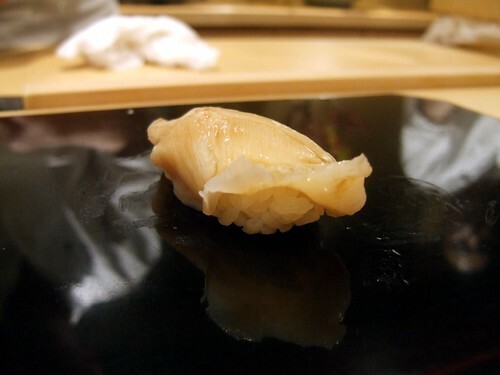 I personally prefer Sawada for fish (and the vinegar-charged rice) and Masa for overall quality – but this was only one meal – and we all know variations can and do occur. 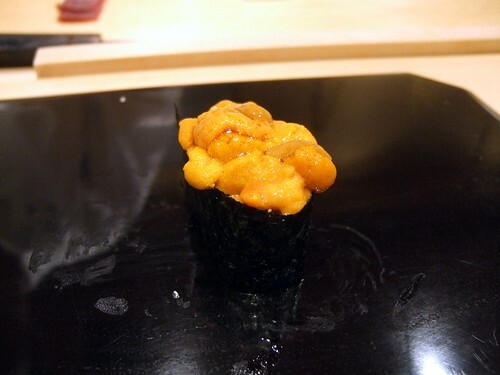 To prove the point, Harutaka is Luxeat’s favorite sushi restaurant to date. Exploration, discovery, and learning – she has a head start on most of us. 1- Yes, the title is taken from that somewhat topical song – stop reading, book a ticket and eat! 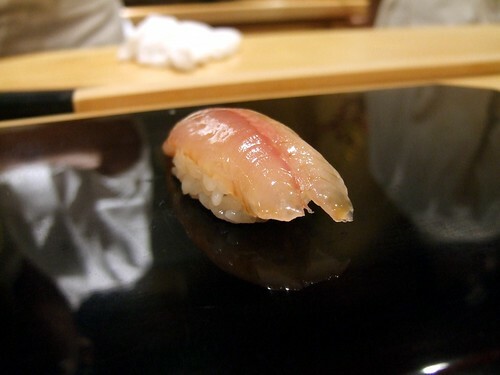 2 – Read one of the rare Sukiyabashi Jiro reviews on A Life Worth Eating – does it live up to the promise? I’m adding this to my Japan list. Hoping to get to Tokyo next fall. 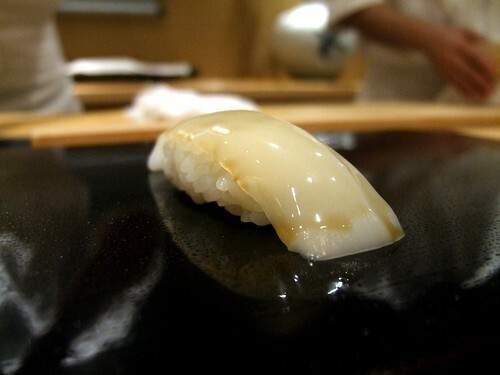 That arc shell clam looks fantastic. 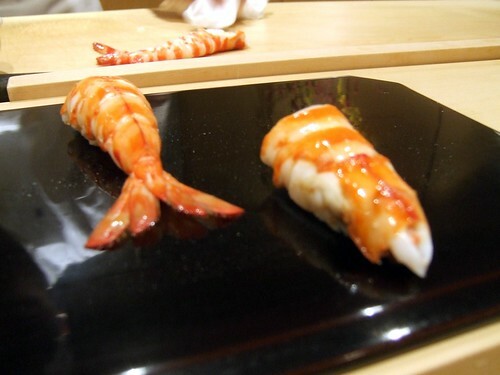 Was that botai-ebi or kuruma ebi? 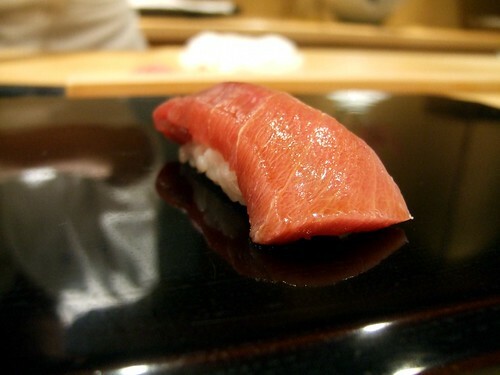 Was the buri scored with a knife at all in the first dish, or is that just fat marbleization? 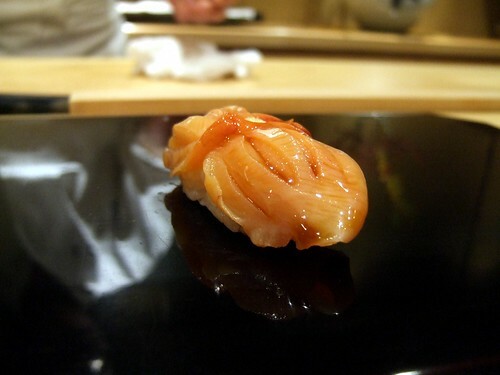 Interesting use of the black lacquer tray… make the sushi really pop out. Adam, the clam was fantastic too (and i’m generally ambivalent about the things) – as was the abalone (which isn’t pictured.) 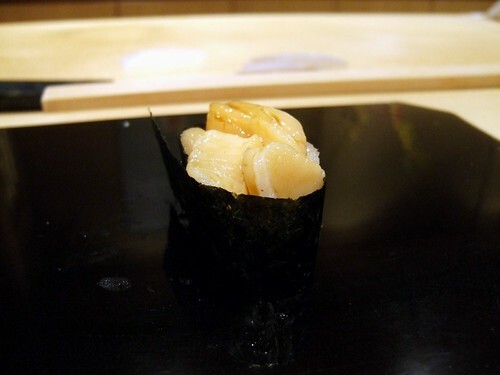 Shrimp was kuruma although cooked a touch too long. 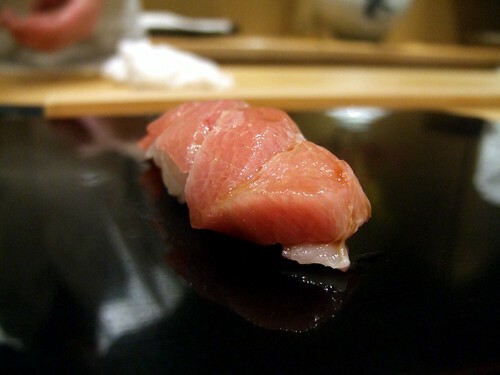 W/r/t buri – this meal was 5 months ago – but that is mostly, if not all, fat marbleization – it was rather tremendous in that respect.